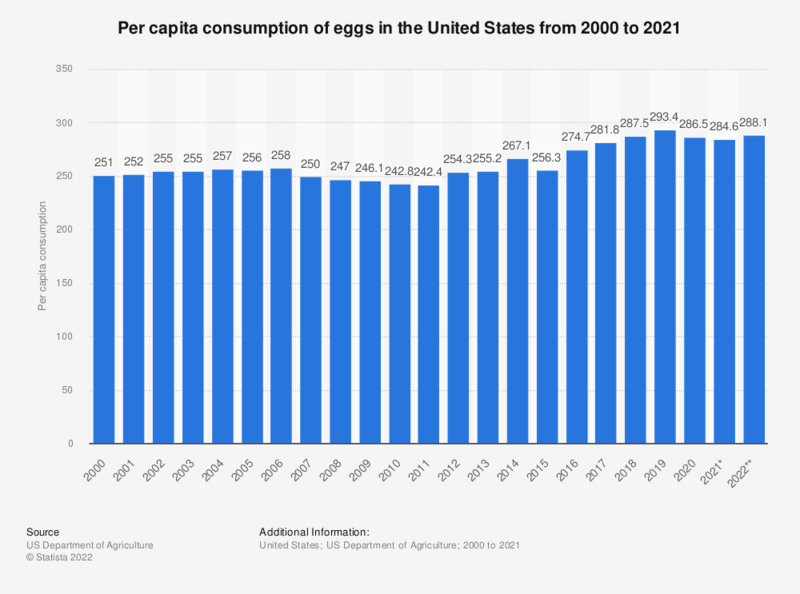 The timeline shows the per capita consumption of eggs in the United States from 2000 to 2019. In 2018, the U.S. consumption was estimated at 278.8 eggs per person. In 2014, the total egg production value amounted to about 10.17 billion U.S. dollars in the United States. Everything On "Egg industry " in One Document: Edited and Divided into Handy Chapters. Including Detailed References. Statistics on "Egg industry "
U.S. population: Do you use eggs? U.S. population: Which types of eggs do you use most often? U.S. population: Which brands of eggs do you use most often? U.S. population: How many dozens of eggs have you used in the last 30 days?